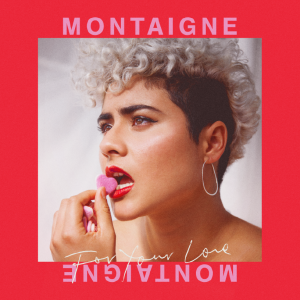 Anyone familiar with indie pop music will most likely recognise Montaigne from her various achievements in her short and illustrious career. 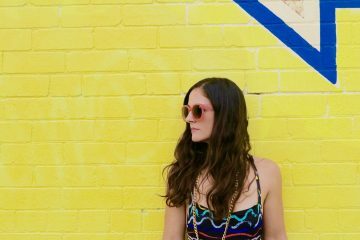 Highlights include a Triple J unearthed finalist spot in 2012, all the way to winning FBi Radio’s Next Big Thing Award in 2014. 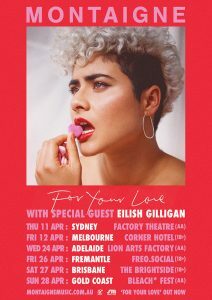 In more recent times, Montaigne’s musical journey has seen her write an album dubbed ‘Glorious Heights’ and now showcase the first taste of her second album with a freshly cut single, ‘For Your Love’. 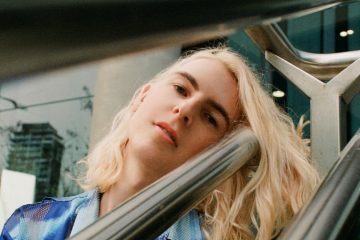 We caught up with the Sydney based singer / songwriter who recently finished up some study at Liveschool to talk about new music, life lessons, education, activism, LA and more! 1. Can you tell us about the new song ‘For Your Love’? Anything the listener might not be able to pick out? The vocals in the intro were recorded without cans on, so the click as well as all of the beats were running aloud. A lot of the noise around that had to be mixed down/out as best as it could be managed, though the click also sort of ended up becoming a part of the beat, which is part of what makes it interesting. Also, none of the tracking was done live. Everything was arranged in a day and arranged in midi. Perhaps there was live bass put down? But I can’t remember, and don’t think so. 2. 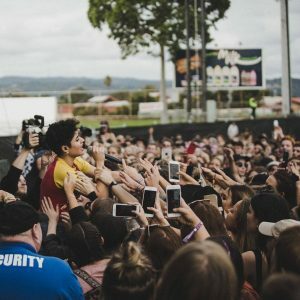 Do you think there is anything particularly different/special about Australian music compared to it’s international counterparts? Why? 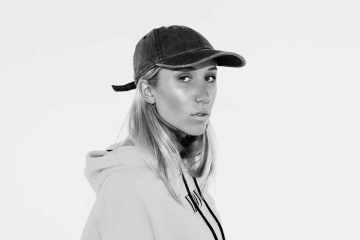 I think Australian music is quite diverse so it’s hard to tell what kind of uniform distinguishing factor may tie all of Australian Music together. Everyone’s doing their own thing as anyone anywhere is, so…I’m not sure. 3. Have there been any key developments over the past year or so that really helped you as an artist (lifestyle, study, mentors/collaboration)?? Absolutely. I met this person on my last trip in LA who totally opened up the scope of my music consumption. I could never really connect to soul, rnb, hip hop, and all of the hybrid genres that echo those three, and then I finally did. They also introduced me to the genre of Brazilian singer-songwriter, some good 90s/early 2000s artists like Stereolab, a bunch of stuff. I now listen to music more broadly than I ever have. Tony Buchen, my longest-time collaborator, also put me onto to a lot of Middle Eastern music. Lifestyle-wise, I mean, I could talk about that forever. I’ve changed dramatically since this time last year. I was really unwell and now I’m very well. I’ve figured out how to make sustainable changes, rather than rushing them and subsequently burning out! I’ve become more grateful and more empathetic across the board, and I think know myself much better and have come to accept myself for all I am in a way that I used to struggle with and is recorded in the new music I’ll be releasing. And of course I ended up doing a Liveschool course recently! Which has really developed my involvement in collaborative songwriting sessions. I know what questions to ask and what to ask for now, which has been invaluable. 4. What is your personal process when creating/starting/developing new music? n the piano/guitar and start writing/improvising and that ends up developing into something. When I’m in sessions, I can write songs fairly quickly because I have someone else doing the heavy lifting in regards to arrangement. I also get new ideas when bouncing off someone else’s plotted melodies, or even little flourishes in production. 5. What have you got planned for the next 6-12 months? A lot! 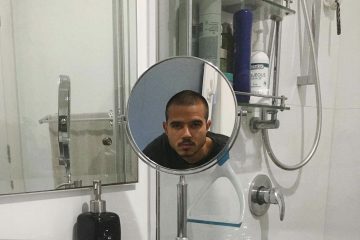 I’ll be touring next March/April across Australia, I imagine I’ll be doing festivals too and more touring after that, releasing more music (an album), and in between music things I hope to be able to stay healthy and hang out with the people I care about and hopefully do some sort of campaigning for climate change, advocacy in general. I’m also learning Spanish, Japanese and Portuguese at the moment, so I’m hoping I’ll have an opportunity to go to those countries and crystallise my fluency in them. I’d also like to tour internationally! We’ll see. Want to learn to make electronic music? Take this quiz to discover which Liveschool course is best for you!